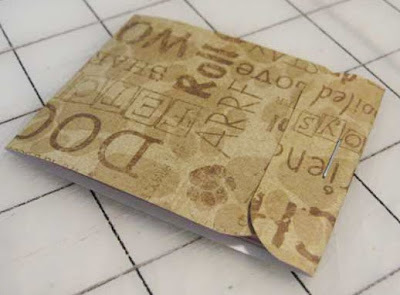 One of my favorite customers requested a tutorial on how to make these little notepads that I often include in my Etsy packages. I know there are lots of versions found online, but I would love to share mine with all of you. 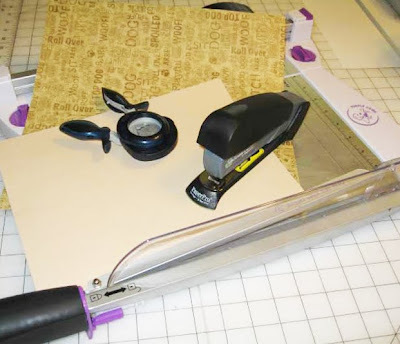 Cut the 12X12 sheet of scrapbook paper into strips that are 6" X 2.25"
Cut the copy paper into strips that measure 2.5" X 2"
Round all the corners, using the punch, of the 6"X 2.25" strips of scrapbook paper. 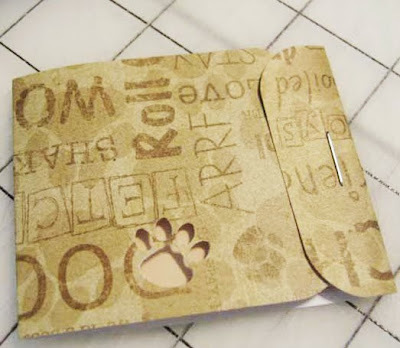 Turn in and crease 3/4" of the cover (scrapbook strip), forming a flap. 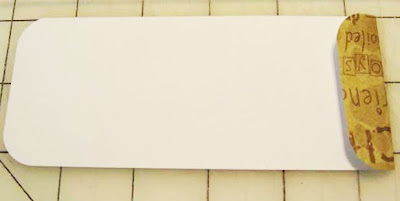 Insert 12-15 sheets of the 2.5" X 2" copy paper under the flap and staple securely. 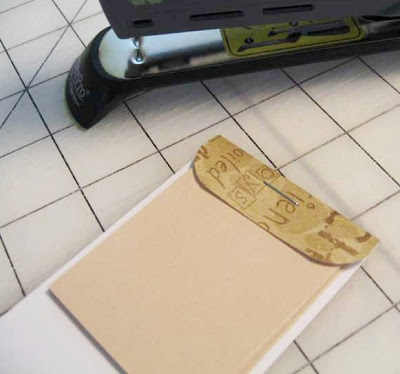 Fold up the opposite end of the cover strip and tuck it under the flap, enclosing the copy paper sheets, then crease. 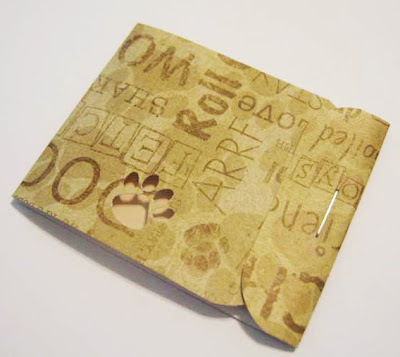 Using a small design punch (in my case~~a paw print punch), embellish the larger flap. 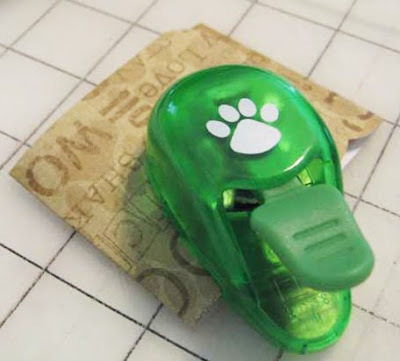 I have also seen, and made a few, where buttons or other little trinkets are glued over the staple to hide it. 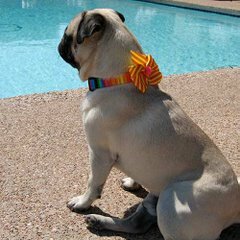 I need to find some Christmas scrapbook paper that I like to make more to ship with my Christmas collars! Hope you have fun trying this latest project! Thanks! 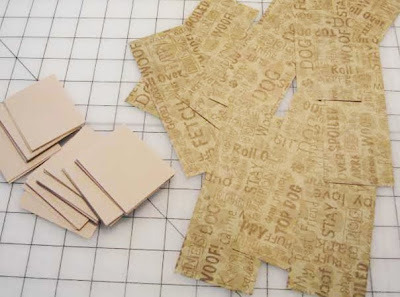 Now I can use all of my scrapbooking scraps to make these! Very cool tut...!! Thanks !!! How cute - you are very talented. Suzanne those are so cute! I love your creativity and original ideas. Keep up the great work. That is so cute Suzanne, I love the paw print! Thanks so much for the how-to, I'll be linking. I am off to try them now! Hi Suzanne... I came your way via One Pretty Thing. 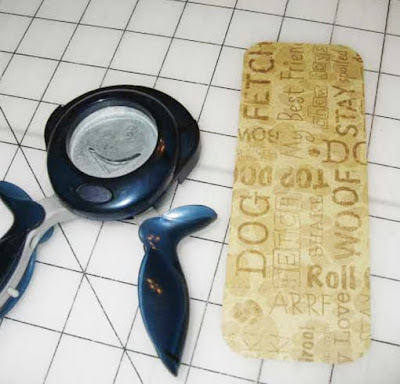 This is a great idea and a well-written tutorial! Thanks for sharing. 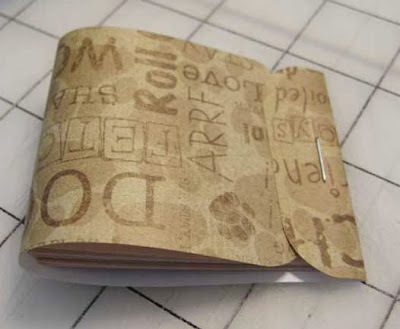 I'm definitely going to make some of these cute little notepads. This is the first site I've read your blog and your tutorials are great!